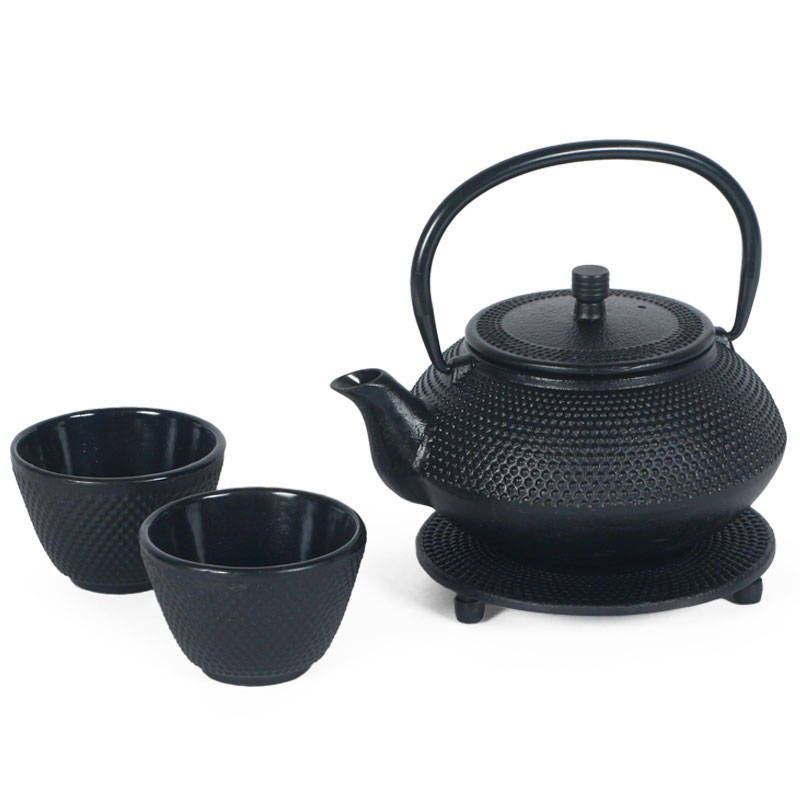 The cast iron teapot retains heat very well, making it a perfect vessel for tea connoisseurs. Our teapots are finished with enamel on the inside to prevent rusting and include a removable stainless steel mesh basket infuser. This set includes one 20 oz. (0.6L) cast iron teapot with strainer, 2 cups and a trivet. Not recommended for stove top use. Made in China.